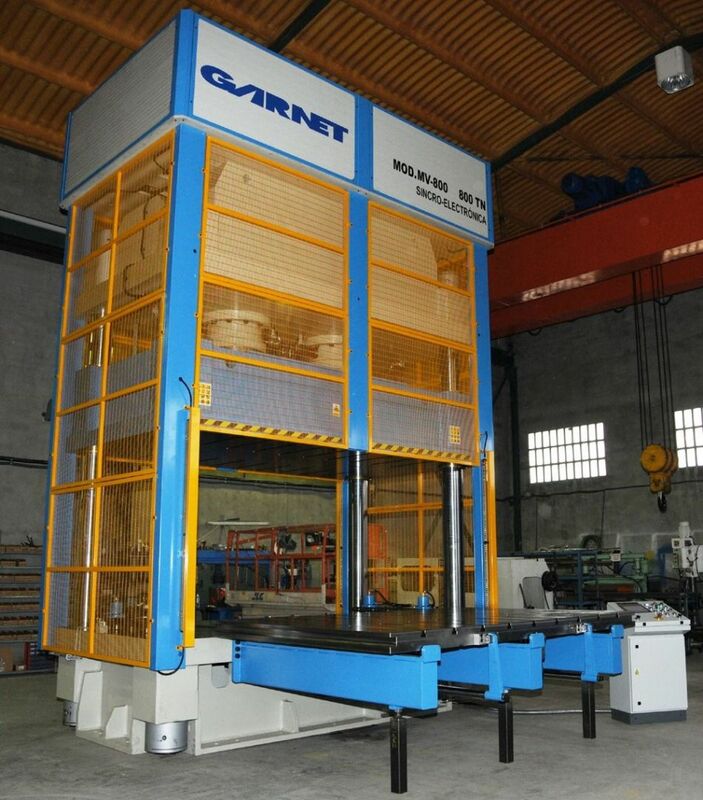 800 TN hydraulic press of four stanchions with synchro-electronic system. Two double effect hydraulic cylinders of 400 TN each one. Bottom table with T grooves arranged on the table according to the indications of the user. Top table with T grooves and anti-fall safety system. Specially intended for big boiler making and shipyards. 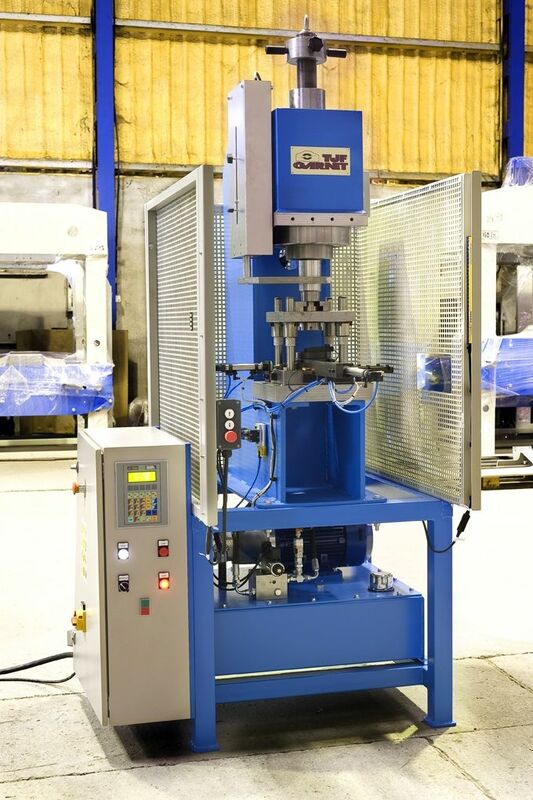 Hydraulic press of 15 TN with throat depth. 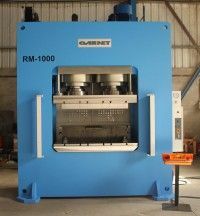 The HIDROGARNE hydraulic press model LRD-500 E is specially designed for straightening oxygen-cut sheet. Mono-block structure with double effect cylinder. 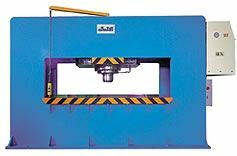 Special press designed to straighten electro-welded longerons. 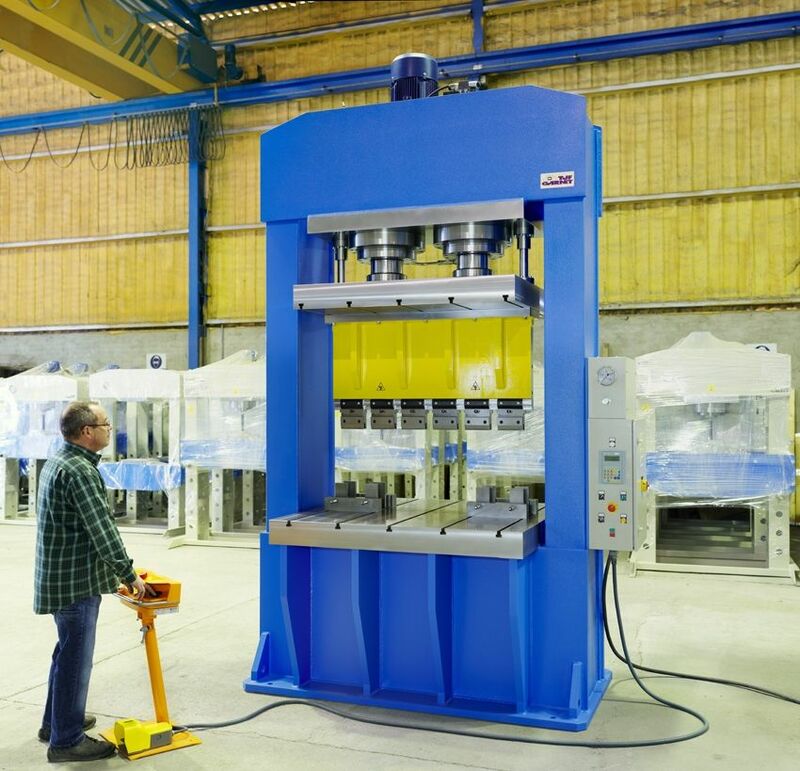 Four opposed double effect cylinders, 100 Ton power each cylinder. 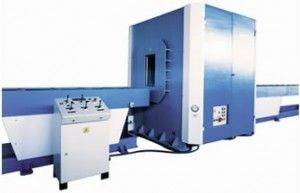 The HIDROGARNE hydraulic press model RVC 50 E is specially designed for cutting or trimming aluminium casts and other materials.